SOLD: This "La Clandestine" Absinthe bottle is from 2007. It has an increased alcohol by vol. of 72% (144 proof). The regular La Bleue version had a level of 53%. This Absinthe was made for ALANDIA Spirits by the Swiss master distiller Claude Alain Bugnon in the famous Val-de-Travers region. Unfortunately the last bottles have been sold! This "La Clandestine" Absinthe bottle is from 2007. It has an increased alcohol by vol. of 72% (144 proof). The regular La Bleue version had a level of 53%. This Absinthe was made for ALANDIA Spirits by the Swiss master distiller Claude Alain Bugnon in the famous Val-de-Travers region. We stopped selling this brand in 2009, as we moved production to the Swiss Matter distillery located in Kallnach. This Clandestine bottle is therefore a real rarity. 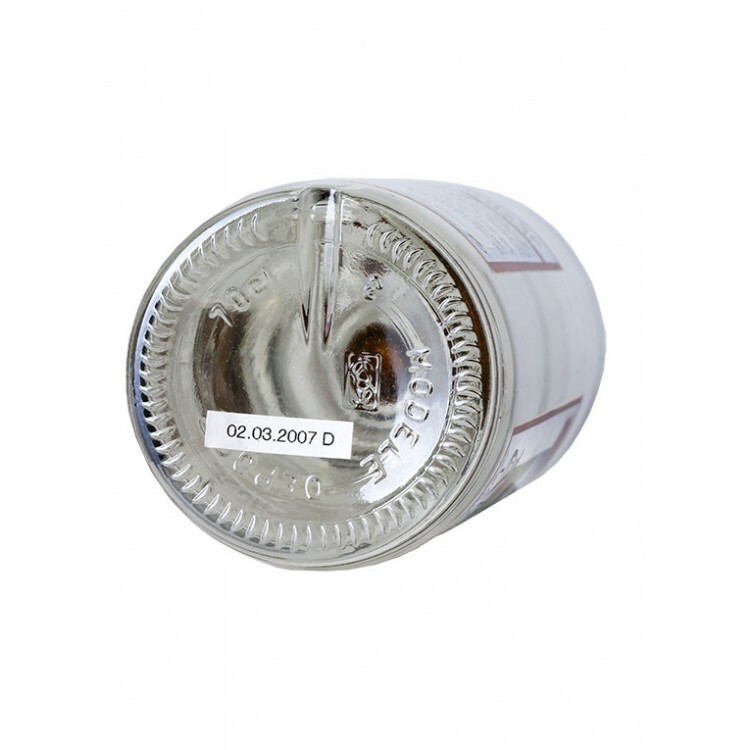 The content is well matured, giving you an outstanding experience of taste. As you might know, Absinthe got legalized in Switzerland in 2005. 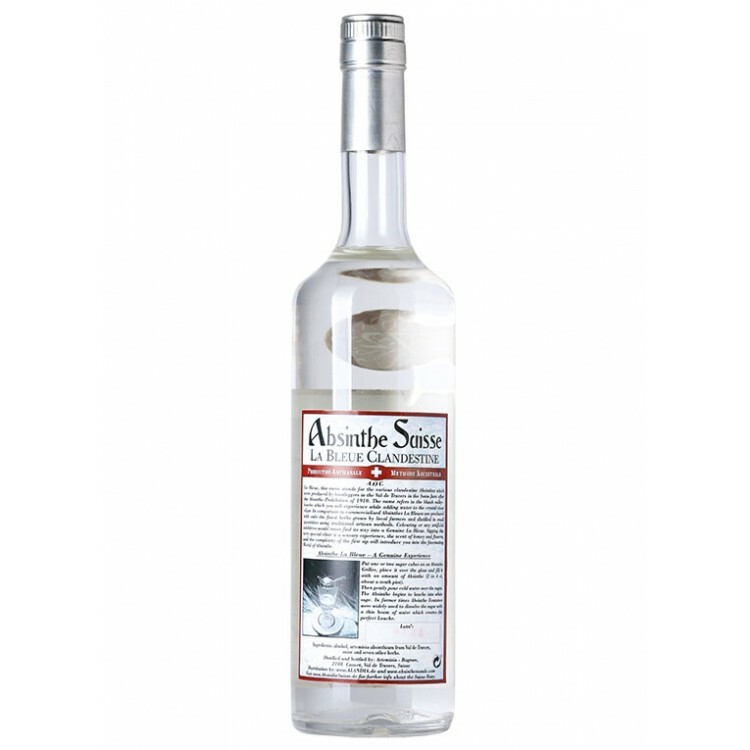 We at ALANDIA were aware of this upcoming change in legislation and wanted to be the very first offering genuine Swiss Absinthe after Absinthe prohibition. Back in the days many Absinthe distilleries were located in the valley Val-de-Travers. It was as well said, that even during the Absinthe ban, some locals produced bootleg Absinthe at their homes. This was the perfect setting, therefore, we made a trip to this beautiful valley. 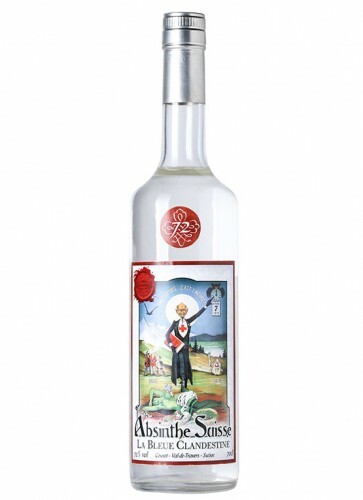 Our objective was to get in touch with a local distiller, who would produce the very first Swiss Absinthe for us. After arrival, we soon got in touch with Mr. Claude Alain Bugnon, a local distiller who was well known for his distillation skills. It didn't take long to convince him of our plan: Being the very first offering genuine Swiss Absinthe to the Absinthe community. But how could this happen, Absinthe was still illegal in Switzerland? Well, we found a legal loophole.. In 2004 Absinthe was still illegal in Switzerland, but it was legal to produce Absinthe for export only. This was our chance, we agreed to produce a limited edition run of 1001 genuine Swiss Absinthe and directly exported it to our warehouse in Germany. From Germany, these bottles then found their way to Absintheurs around the globe. 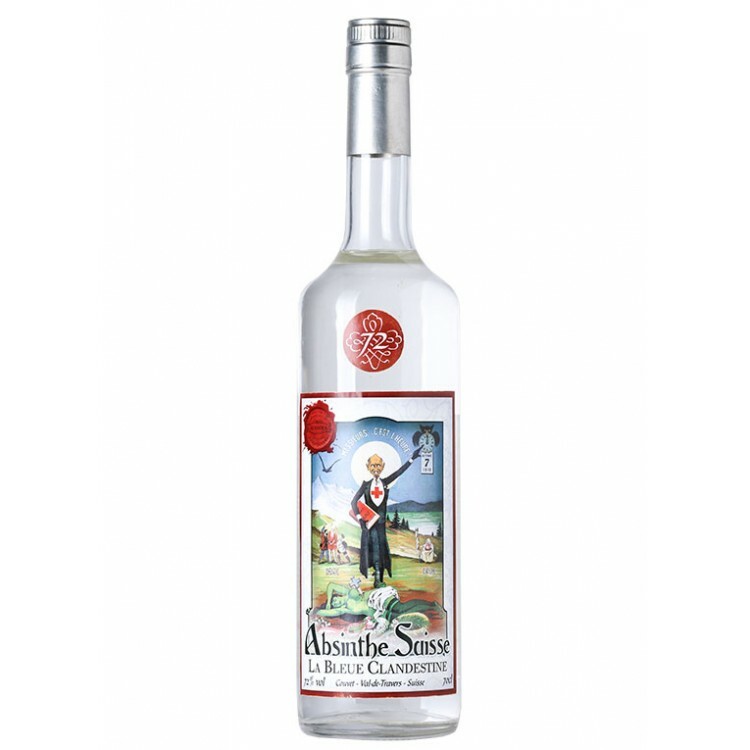 We soon expanded production and started to launch new products, like the 72% La Bleue Absinthe we offer for sale.